Here LA is working with the City of Glendale on the Citywide Pedestrian Plan. 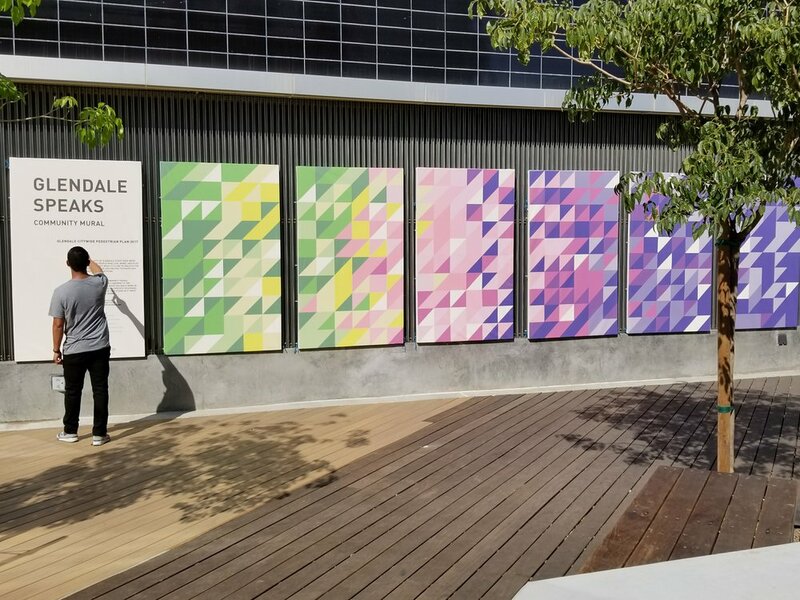 As part of this effort, we're putting together an interactive activity for the community - a huge mural built in color, from community responses to the question, "What would make you walk more in Glendale". So far, almost a quarter of participants say that slowing speeding cars would make them feel safer and more comfortable walking in Glendale. Look out for us through the summer at Glendale community events like Cruise Night, July 16. Findings from the mural will inform the Pedestrian Planning effort underway.